OMAHA – Dr. Hayley Timm has always enjoyed working with kids. Her mother was a principal and her father was an elementary school teacher, so topics of discussion in their home usually revolved around children. Throughout high school, college and medical school, Dr. Timm’s volunteer activities included helping at kids’ music and sports camps, tutoring students after school, and spending time with patients at Children’s Hospital & Medical Center in Omaha. Becoming a pediatric physician was a natural next step for Dr. Timm, who has joined the staff at Methodist Physicians Clinic Council Bluffs. Dr. Timm earned her bachelor’s degree in biochemistry from Calvin College in Grand Rapids, Michigan. 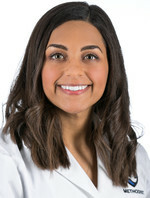 She completed her medical degree at the University of Nebraska Medical Center in Omaha, and she was a pediatric resident and resident clinical instructor at Helen DeVos Children’s Hospital/Michigan State University. Why choose to work at Methodist Physicians Clinic? For Dr. Timm, being a doctor is more than a job. It’s a calling. Dr. Timm is now seeing patients at Methodist Physicians Clinic Council Bluffs (933 E. Pierce St.). Appointments can be made by calling 712-396-4310.